Ever have to walk into a meeting 100% totally unprepared? Ever find yourself standing in front of a group of people and have to deliver, but you’ve had no time to prep? What did you do? Panic, pray for the floor to open up beneath you and devour you whole? For performers trained in improv, they don’t even break a sweat! Improv? What’s that, you ask? You’ve seen it before even if you haven’t tuned in to “Whose Line is it Anyway.” Some of cinema’s most beloved and memorable scenes are improvised, from the “farting wife ” scene in Good Will Hunting to “are you talking to me” from Taxi Driver. Improv is a deceptively simple format where anything and everything goes. I say deceptively simple, because I have heard people say that it isn’t that big of a deal since the actors do not have to memorize lines. Of course, anyone who has been in a show knows that performance is so much more than line memorization, and that’s where improv can come in. It’s another way of telling a story, although no one knows what that story will be! Instead of rehearsing lines, as an improv performer you practice the improv games. It’s fun, funny (99% of the time!) and constantly changing. You never see the same show twice! And Providence is a hotbed for it. (Well, Providence and its outlying areas!) 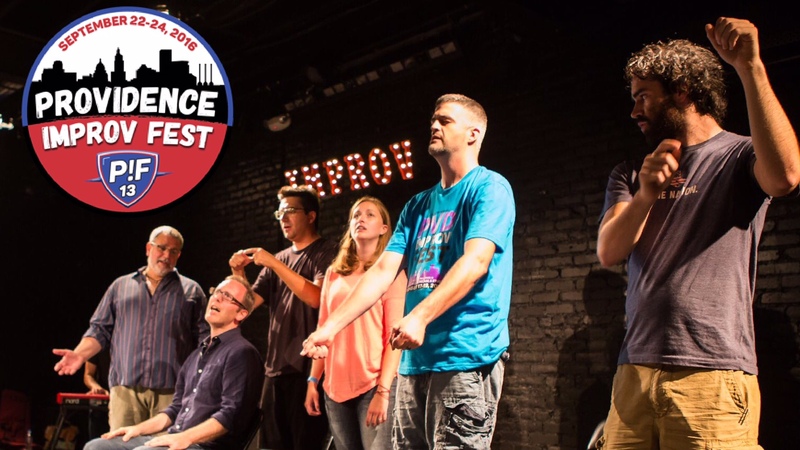 This September, the 13th Annual Providence Improv Fest will take AS220 by storm from September 22 through 24. The 13th Annual Providence Improv Fest isn’t just about sitting back and enjoying the performances. There are workshops as well. As someone whio has taught improv workshops for teens, I can tell you that you get a lot more out of these than just some fabulous improv skills. Audrey Dubois from Wheaton College’s The Dimple Divers agrees. “Improv has definitely helped me in life,” the college senior says. “When I was a small, anxious freshman, I felt like I always had to plan everything out, but now I feel okay about going into interviews and class discussions without writing everything down first.” Students walk out of workshops fearless. For improvisors, a highlight will be Rachel Mason’s workshop, “The Initiation,” aims to ensure that starting scenes will never be hard for you after this workshop. Mason is currently in the cast of Second City Improv All-Stars. If Second City sounds familiar, it should. They boast an impressive group of alumni, from Joan Rivers, Gilda Radner, Julia Louis-Dreyfus, Bill Murray, John Candy and Eugene Levy to Tina Fey (my personal comedy hero and spirit animal), Rachel Dratch, Amy Sedaris, Steve Carell, Chris Farley and Stephen Colbert. Susan Messing (another Second City alum) offers a workshop called, “Protecting the Freak!” Messing’s impressive credits include Comedy Central’s “Premium Blend” and NBC’s “Late Fridays.” Additional workshops include Kevin Miller’s, who hails from Austin, Texas, “Playing From the Wings” and NorthCoast’s “Intro to Hip-Hop Improv.” These workshops are for practicing performers, not general audiences, and they’re already mostly sold out at press time – but they give you an idea of the level of improvucation going on here. 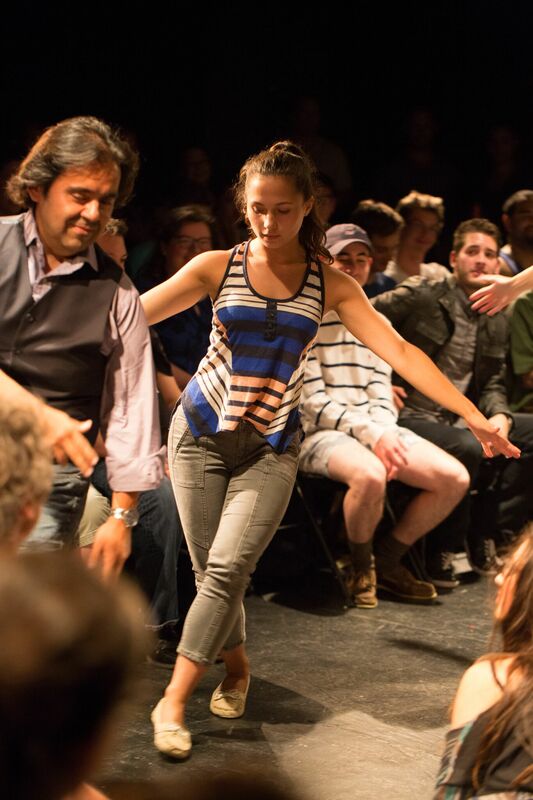 A Free teen workshop, for those that want to give improv a try will be led by Eric Fulford, of Improv Jones & The Providence Improv Guild, is taking place at 6pm Saturday after the BYOI show. Other highlights for audiences will include. “We try to pair and combine groups thoughtfully, says Improvorganizer Tim Thibodeau. “We find groups that can learn from or inspire each other, and we try to mix local performers with the more national acts,” he explains. He recommends catching … well, everything. But standouts should include The Boys, which features workshop instructors and Second City alums Mason and Messing (recently anointed the “Funniest Woman in Chicago” by Chicago Magazine). They’re paired with local group Freezer Basterdz, a weekly performing house team from the improv organization, The Providence Improv Guild. There will be an improvised PIG Musical too, Large Mouth Bass is the Guilds musical house team led by local musician, Keith Munslow, that create songs as they go (PIG – the Providence Improv Guild – is one of the primary sponsors of the event, and PIG spawn are sprinkled throughout the weekend). That musical at 10pm Friday night at 95 Empire’s Blackbox Theater. Newport’s the Bit Players will be taking the main stage at AS220 around 8:30 Friday. Long-time fest favorites Airwolf, from the Upright Citizens Brigage Theater (aka UCB NY) in NYC, whose members having been hitting the national stage in things like the recent Verizon Olympic ad featuring John McEnroe, will be giving two performances (Friday and Saturday). NorthCoast from New York & Riot, from North Carolina are both hip-hop inspired improv groups, and Stranger Than Fiction are other groups to watch out for. Muggles beware – the Stranger than Fiction show will be Harry Potter inspired magic. 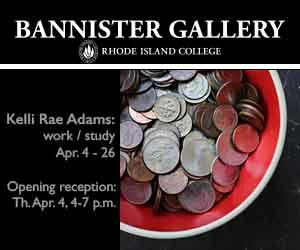 I’m going to be sure to check out Saturday’s pay-what-you-can show for a few reasons. First, the money will benefit the Manton Avenue Project, which is a tremendously wonderful cause (theater creation for youngsters), the 5pm show is family friendly, and it will feature Bring Your Own Improv, which happens to be a favorite of my son’s! The Dimple Divers, Wheaton College’s Improv Group, will also be performing for the family-friendly show. And the show is so early, I’ll have time to drop my son off with a sitter so I can return to the festival in time for the show in the AS220 Blackbox for Providence’s BowlProv, NYC’s Crisis-An Improvised Comic Book, and Austin, Texas’ History Under the Influence.